Black chalk, 849 x 642 mm. 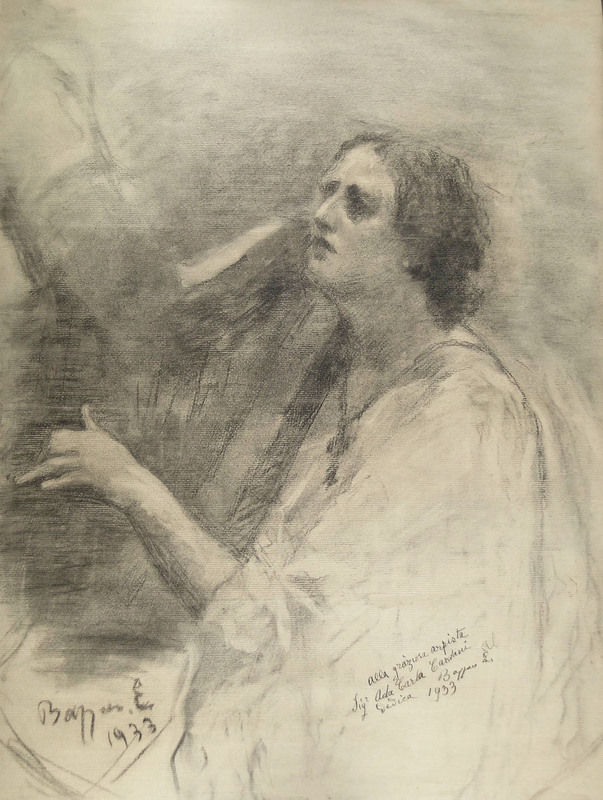 Signed and dated in black chalk Bazzaro E. / 1933. Dedicated in pen and brown ink Alla graziosa arpista / Sig Ada Carla Cardani / Dedica Bazzaro E. / 1933. 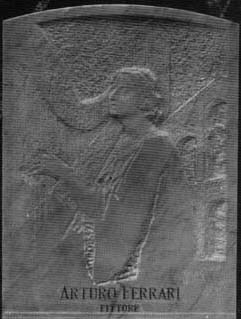 The drawing is connected with the stele done by Bazzaro for the tomb of the Milanese painter Arturo Ferrari (1861-1932), which is also dated 1933.